Alas, poor Yorick! I knew him, Horatio, a fellow of infinite jest, of most excellent fancy. He hath borne me on his back a thousand times, and now, how abhorred in my imagination it is! My gorge rises at it. . . . Now get you to my lady’s chamber and tell her, let her paint an inch thick, to this favor she must come. Make her laugh at that. Hamlet, act 5, scene 1. Showing incorrect layout and formatting. Showing strange or unreadable characters. Omitting text that should be there. Displaying text that shouldn’t be there. Tracked changes in documents moved from PC to Macintosh or vice versa. Deleted note reference numbers (in the notes themselves, not in the main text). Saving when resources are low. A corrupt printer driver (Word often crashes when printing). A corrupt document template, especially Normal.dotm. Back up your document, so if something goes wrong, you’ll have something to go back to. Select all of the text in the document. Hold down SHIFT and press the left-arrow key to deselect the final paragraph mark. Paste the text into the new document. Use the new document rather than the old one. That, however, may not be enough. If your document has section breaks, they too can hold corruption, which means you’ll need to maggie each section separately—selecting its text, deselecting the section break at the end, and copying and pasting the text into a new document, adding new section breaks as needed. If you have lots of sections, this will take lots of time. A better solution might be to use a macro that will automatically maggie each section (including the final paragraph mark). Here is such a macro that I hope you’ll find useful when corruption strikes. Note that when using the macro, you should have open only one document — the one you want to maggie. Now let’s look at the macro to see how it works. That first line simply gives your macro (technically a subroutine, or “Sub”) a name, which can be anything you like. Those four lines set up (dimension) four arbitrarily named variables, which simply hold information. (If you remember high school algebra, you were always trying to solve for the variable X.) Here, s, secType, and secCount are defined as integers (whole numbers); myDoc is defined as a document. That line assigns the name of your soon-to-be-maggied document to the variable myDoc. Those two lines create a new blank document and switch back to your original document (whose name is stored in myDoc). Here, we count the number of sections in the active document (our original) and assign the number to the variable secCount. That tells word to do whatever comes next a certain number of times, starting with the number 1 and ending with one less than the number of sections in our document. Why one less? You’ll see in a minute. Here we get the type (continuous, next, odd, or even) of the next section (“s + 1”) and store that information in the variable secType. In those three lines, we select the text of the section specified by s: If s is 1, we select the first section; if 2, the second section; and so on. After selecting the section, we move the cursor one character to left so that we’re not selecting the section break (which could hold corruption). Finally, we copy our selection. 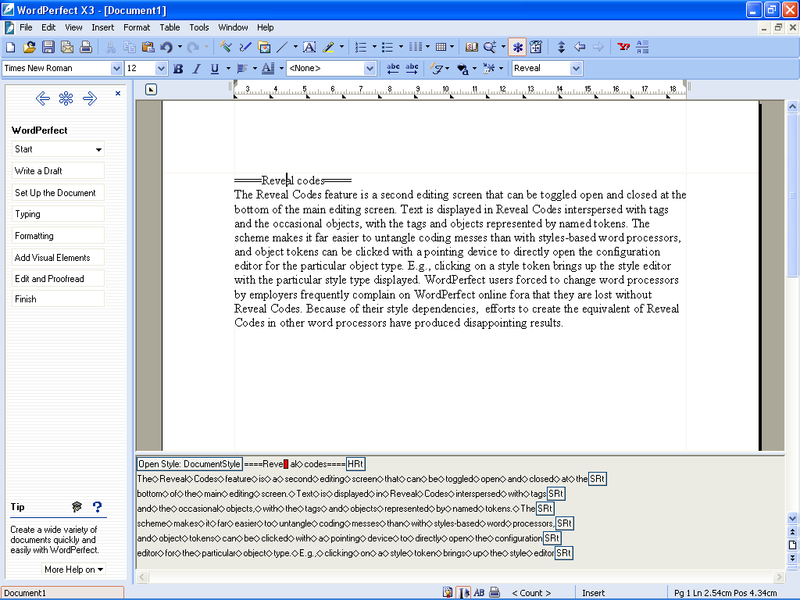 Here, we switch to our new, clean document and paste the text that we copied from the section in our original document. Next, we insert a continuous section break. Oddly, the first line alone won’t do what we need, even if we specify the Type using the variable secType. We must add the second line, which needs an existing section break in order to work. It turns that break into whatever type we stored earlier in the variable secType. (It took a lot of experimenting to pin down this wretched fact.) Again, we have to add 1 to the section number (“s + 1”) because we’re inserting the breaks after the section text. Here, we switch back to our original document. This is the line that has been incrementing the s variable that we specified earlier in the line “For s = 1 To secCount – 1”. We select the last section in our original document, move back one character, copy the text, move to our new document, and paste. Finally, we end the macro. After running the macro, you’ll be left with your original document (unchanged) and a new, unnamed document that is identical to your original but without the corruption. That’s it! There are ways to make this macro more elegant and efficient, but, to paraphrase Blaise Pascal, I would have written a shorter macro, but I did not have the time. Nevertheless, the macro works for me; the next time you encounter corruption, I hope it works for you. Delete the “Sub AutoMaggie” and “End Sub” lines that Word created in the macro window. The macro window should now be completely empty (unless you already have other macros in there). As always, a great article by Jack Lyon. I own quite a few of his programs and I would personally find Word unusable without them!